Needful diversions of wealth and of strength from the fields of peaceful industry to the national defence, have not arrested the plough, the shuttle or the ship; the axe has enlarged the borders of our settlements, and the mines, as well of iron and coal as of the precious metals, have yielded even more abundantly than heretofore. Population has steadily increased, notwithstanding the waste that has been made in the camp, the siege and the battle-field; and the country, rejoicing in the consiousness of augmented strength and vigor, is permitted to expect continuance of years with large increase of freedom. No human counsel hath devised nor hath any mortal hand worked out these great things. They are the gracious gifts of the Most High God, who, while dealing with us in anger for our sins, hath nevertheless remembered mercy. It has seemed to me fit and proper that they should be solemnly, reverently and gratefully acknowledged as with one heart and one voice by the whole American People. One of the most recognizable symbols of Thanksgiving is the cornucopia, also called horn of plenty. It is a decorative motif, originating in ancient Greece, that symbolizes abundance. The original cornucopia was a curved goat's horn filled to overflowing with fruit and grain. It symbolizes the horn possessed by Zeus's nurse, the Greek nymph Amalthaea, which could be filled with whatever the owner wished. On June 20, 1676, the governing council of Charlestown, Massachusetts, held a meeting to determine how best to express thanks for the good fortune that had seen their community securely established. By unanimous vote they instructed Edward Rawson, the clerk, to proclaim June 29 as a day of thanksgiving. It is notable that this thanksgiving celebration probably did not include the Indians, as the celebration was meant partly to be in recognition of the colonists' recent victory over the "heathen natives," (see the proclamation). October of 1777 marked the first time that all 13 colonies joined in a thanksgiving celebration. It also commemorated the patriotic victory over the British at Saratoga. But it was a one-time affair. 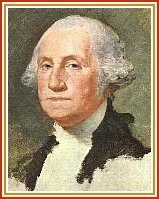 George Washington proclaimed a National Day of Thanksgiving in 1789, although some were opposed to it. There was discord among the colonies, many feeling the hardships of a few Pilgrims did not warrant a national holiday. And later, President Thomas Jefferson scoffed at the idea of having a day of thanksgiving. Autumn is my most favorite time of the year. I just can't get enough of the pumpkins, fall leaves, and cool days! I am constantly creating and purchasing new items for my home to create a warm, fall look during this time of the year. One of my very favorite Autumn craft projects, just happens to be one of the easiest and the most inexpensive. Follow my directions and in no time your home will be shouting: "Autumn is loved here!". Take your fabric and cut it into strips that are approximately 1.5" x 18". After you have a good supply of strips, tie each strip onto the wreath into a bow in various places. Continue adding bows until it has a look that you enjoy. After tying on your bows, take a large bunch of raffia and tie it in a bow at the top of your wreath. Hang as you desire. In 1623, a period when rains came during the prayers of drought was answered by colonists with a proclamation of prayer and fasting. This prayer and fasting was changed to another thanksgiving celebration. Later that year, Governor Bradford proclaimed November 29 as a time for pilgrims to gather and "listen to ye pastor and render thanksgiving to ye Almighty God for all His blessings. 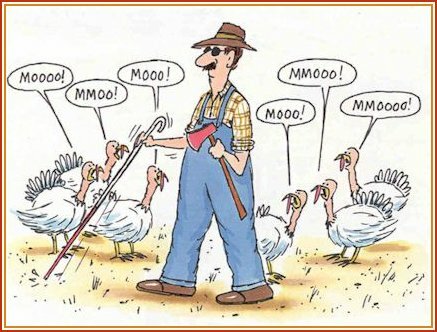 "Throughout American history, there were many thanksgiving proclamations and celebrations. In 1789 George Washington proclaimed a National Thanksgiving Day on the last Thursday in November, in honor of the new United States Constitution. Thomas Jefferson, the third president, later discontinued it, calling it "a kingly practice." In 1863, Sarah Josepha Hale, the author of the poem "Mary Had a Little Lamb," convinced Abraham Lincoln to proclaim Thanksgiving a national holiday. For the date she chose the last Thursday in November because of Washington's proclamation. In 1941, it was officially changed to the fourth Thursday in November.